It’s particularly nice to wake up and make your morning offering while looking at the dome of St. Peter’s Basilica. It was a beautiful Roman morning with cool weather all the day long. There’s something to be said for praying in a city filled with domes and steeples dedicated to the glory of the one God and His only Son, Jesus Christ. There is no loneliness in prayer here. Granted, the jet-lag hit hard and I was very tired in the morning. Today was a day of scouting – laundromats, gelaterias, bus routes, pharmacies, etc. so that the men will be on good footing. The sun was high and the air was cool. I bumped into the newly ordained Fr. John Paul Mitchell on the way down the Janiculum hill and was pleased to learn that he will be at the Casa Santa Maria next year as well. I took the long route to the Pontifical University of the Holy Cross (Santa Croce) and was able to enjoy the lovely business of Campo Fiori. The flowers were indeed beautiful and it makes for a nice walk up to the famous Piazza Navona. Most go to Navona for touristic nonsense or to see the Bernini fountain. I go to see St. Agnes. In the center of the square is the beautiful church built over the site of her martyrdom. I went in, greeted Our Lord Jesus in the Sacrament and then said my Rosary. After I paid a visit to the place where her skull is kept and prayed for purity of heart and was blessedly joined joy a couple of sisters. After this visit I did a bit of clerical window shopping – my parents gave me a generous gift certificate to my favorite Roman clerical shop, Barbiconi. Alas, I have not yet printed it out and do must visit later. On a side note, the Italians are way behind when it comes to the style of vestments. A perpetual reminder to them, gaudy is always out. Thank the good God for the English who are leading the charge in this field. Wearily I walked back towards the Vatican, up the Borgo Pio and ate lunch at one of my favorite places, Taverna Roger – the foods is fine, the decor excellent, it always has clerics in attendance and you never hear English. Certainly I hoped to visit St. Peter’s, but the line was so immense that my spirits were dampened. I thought to visit the bookstore and the Swiss Guardsmen were most polite and helpful in letting me in the backdoor. I love that store, everything wonderful, helpful and clerically nerdy can be found there. Well, almost everything. Finally, back to CIAM where I downloaded two apps for doing Italian language drills (thanks Abby N.) and spent the next hour doing drills. Suddenly I became excited to go back to school. Study gave way to prayer as I went to the chapel for evening mental prayer, Mass and them Vespers. After Vespers I wrote a couple of letters and started to miss home. Next year will be beautiful and hard and is especially hard to think about. But I had little time to dwell on it as I was going up to the NAC for dinner with Gabi Lopez and Scott Emerson, which was delightful and ended with a drink and some lengthier conversation. It was very nice to spend time with those good men. After a few failed FaceTime attempts (I love you and miss you) it was time to write. Perhaps more introspection in the future, but for now, a record. Buona notte from the the greatest city in the world. As preached at the chapel of St. Paul in Madison, WI. 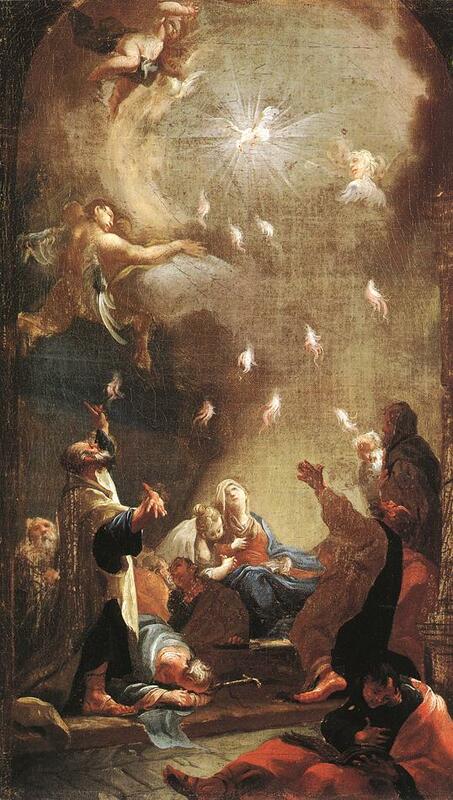 Homily – Solemnity of the Ascension of our Lord – 12 May 2013.